Fans of Community are familiar with the concept of the darkest timeline. 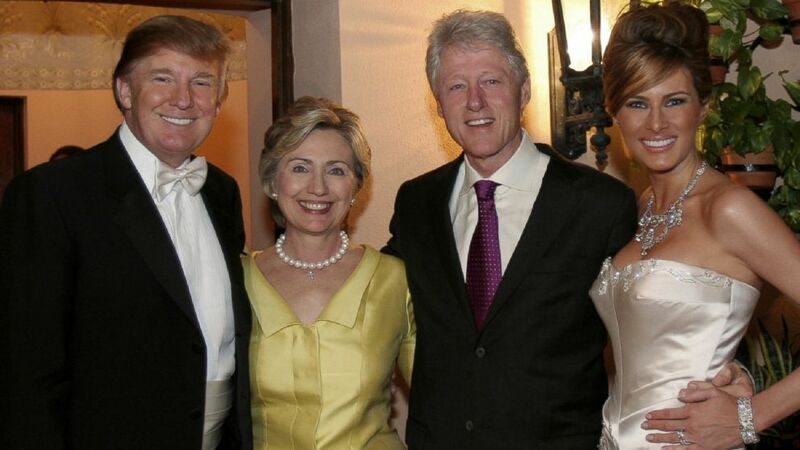 While nobody has clinched the nomination and there is still time for unexpected events to change the trajectory after Super Tuesday, the most likely outcome of the nomination battles is that we will have a habitual liar and warmonger running for president, and the other candidate will be Donald Trump. The two worst candidates imaginable. We might now be living in the darkest timeline. Again, nothing is final. Super Tuesday was set up to benefit moderate Democratic candidates who would appeal to the southern states, with party rules set up to hinder liberal nominees even before the games played this election year. Clinton did very well in states she probably has no chance to win in a general election, but it was also disappointing to see both Clinton and Trump win in Massachusetts. Clinton has more than enough baggage to normally derail any politician but, like Donald Trump, her supporters don’t seem to care what she has done. There is also a remote chance that the Republican race will turn into a two way battle with the survivor being to win enough winner take all states to overcome Trump’s advantage. One hopeful sign is the amount of donations Sanders has been receiving, receiving over forty million dollars in February alone. Generally, when a candidate loses primaries, they are forced from the race as their money dries up. 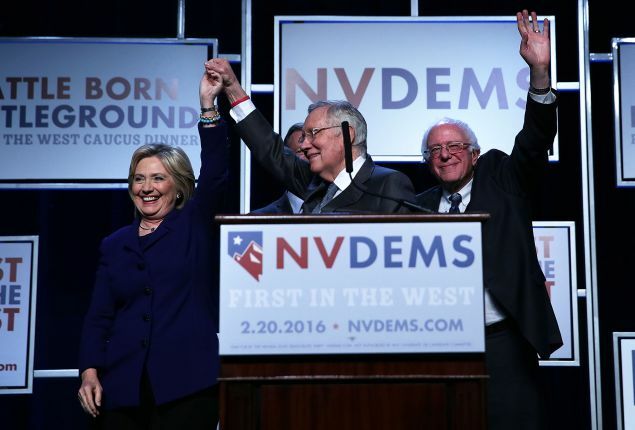 Sanders has the resources and will be continuing to take on Clinton. If it is a general election between Hillary Clinton and Donald Trump, one question will be how the nomination process led to the two candidates with the highest negatives for a general election winning each party’s nomination. While the outcome is analogous, the process was completely different. Clinton has benefited from being the establishment candidate in a battle rigged in her favor, without regard to the consequences. Trump has defied the Republican leadership, which has so far been powerless to get in the way of voters rejecting the establishment. In other words, the Democratic race has been totally undemocratic, while the Republicans have had a much fairer process. As David Atkins wrote about the Democratic process at Washington Monthly, “The Democratic Party should be true to its name and trust in democracy.”Republican voters have been right in rejecting the establishment, but unfortunately the wrong person has benefited from this. An election between Clinton versus Trump will very likely break modern records for dishonesty and smears. With each candidate being so disliked on a national level, each will probably try to win by making voters hate the other even more. We might see a breakdown in the red/blue state divide which has dominated recent elections. It is not unimaginable to see Donald Trump taking New York and the blue portions of the midwest in a battle with Clinton, who already is having problems in the traditional battleground states. On the other hand, Democrats might be lucky if Trump is the nominee as Clinton would have a much harder time beating Cruz or Rubio. The latest CNN poll , along with multiple other recent polls, agrees with this, showing both Sanders and Clinton beating Trump, with Sanders winning by a larger margin, but only Sanders being able to beat Rubio and Cruz. 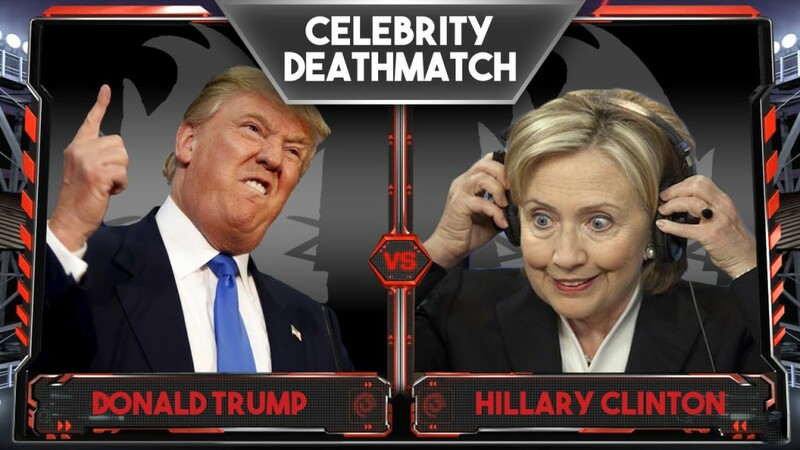 The real reason that this is the darkest timeline is not the general election, but who we will have to live with as president for at least four years. A Clinton victory means a return to the neoconservative foreign policy view which has resulted in disaster. She will keep us on a path of perpetual warfare and strengthening of the surveillance state. She even received a major neocon endorsement last week. While Donald Trump is less hawkish on paper, I could still see him as being at considerable risk of blundering us into more wars. Both show little regard for First Amendments rights. 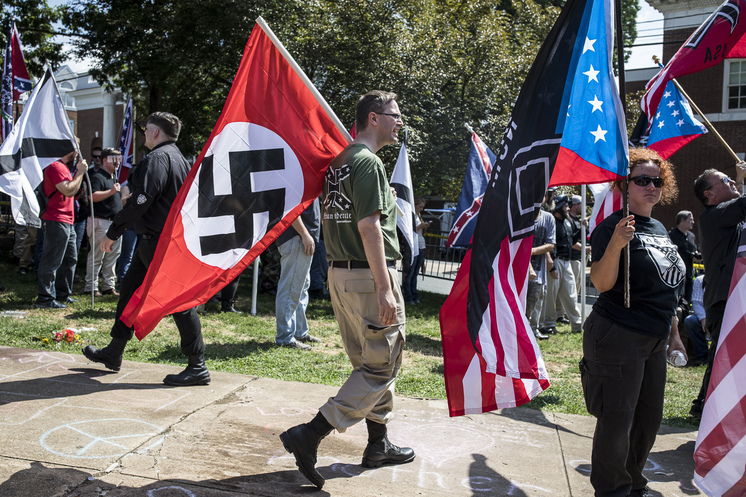 We would have a Democratic nominee who has proposed legislation making it a crime to burn flags in protest and a Republican nominee who has proposed limiting entry to the country based upon their religion. Neither is tolerable. I imagine that in the case of Trump we are dealing with what might be campaign hyperbole, versus an actual record on Clinton’s part of proposing restrictions on civil liberties and pushing for greater military intervention, but it is risky to trust that Trump will be more rational if in office. Just like it is risky to believe it when Clinton takes more progressive positions, on limited and selective issues. At least Trump has exposed the problems of big money in politics–not that I would count on him really reforming a system he has benefited from. It is no wonder that I am seeing so much talk about voting for the Green Party recently. 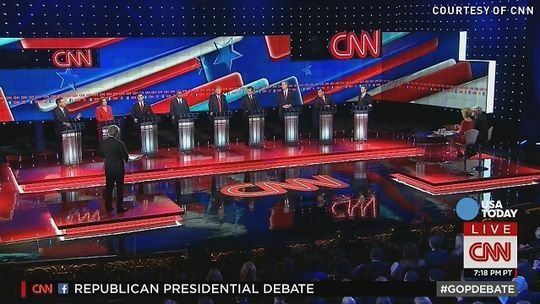 The top moments of the last Republican debate were Ben Carson’s entrance and Marco Rubio’s robotic repetition of a single line, even after Chris Christie had already started mocking him for this. Stephen Colbert mocked all three Republicans in the video above. It remains to be seen whether this will hurt Rubio in today’s New Hampshire primary but with the results in as I am posting this it looks like he will do at best third, and possibly worse. However, at the moment, he is leading Christie. Update: Now that the New Hampshire results are in, we know that this could have been the moment which destroyed Rubio’s chances at winning the nomination.It also might have been a case of murder/suicide for Chis Christie, who has dropped out of the race. 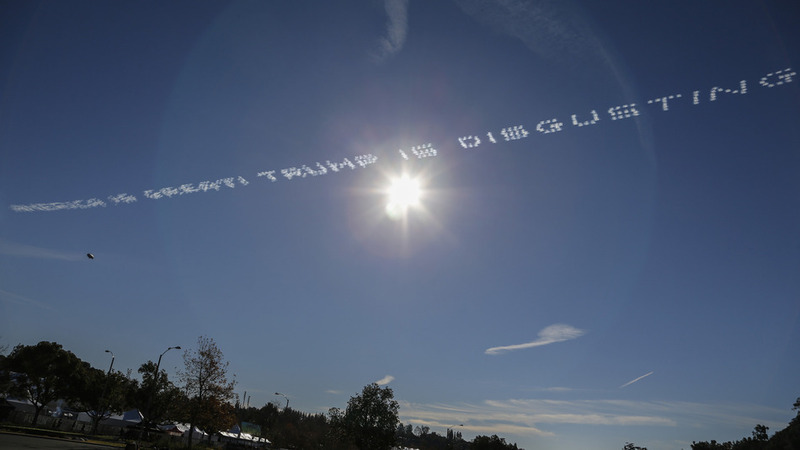 Iowa voters might not like how the Rose Bowl game is going, and Donald Trump probably does not like this message which was written in the sky over the Rose Parade: “America is great. Trump is disgusting. Anybody but Trump.” This was paid for by a donor for Marco Rubio, who says there’s more to come. When asked if he would vote for Trump, Shiflett said no. “That’s gonna come back to haunt him. For a guy who never served, to say something like that is just..,” he continued. He also pointed out how progressive Trump’s past political beliefs were. Donald J. Trump appears to be more concerned about the quality of his hair than the quality of the air. Mr. Trump has offered little in the way of an environmental policy during his presidential campaign, but on Wednesday he said that President Obama’s concerns about the environment were infringing on his rights as a consumer. More pressing than saving the ozone layer, he suggested, was the freedom to buy aerosol hairspray. Aerosol sprays were actually phased out in the United States in the 1990s, years before Mr. Obama was president, and the ban resulted from the Montreal Protocol in 1987, signed by President George H. W. Bush, which sought to curtail the damage aerosol products did to the disappearing ozone layer. Since then, the hairspray industry has been able to find substitutes that produce the same misty effect of CFCs and aerosol. One of the many problems with Donald Trump’s outrageous statements (undoubtedly made more to attract attention and support from a certain segment of the Republican Party than out of conviction) is that it might be making people fail to realize that many other candidates running also have positions which in a normal year might disqualify them from serious consideration. This is most clearly true within the Republican Party, but Hillary Clinton also benefits from the non-stop vulgar and sexist attacks on her from Trump. Donald Trump’s views make the flaws in the other candidates look far less significant in comparison, but there remains reasons why other candidates would be unacceptable as president. The good news for Republicans, arguably, is that their rhetoric has been so consistently over-the-top that it has started to sound routine; academics call this “shifting the Overton window,” the range of what’s considered politically acceptable. 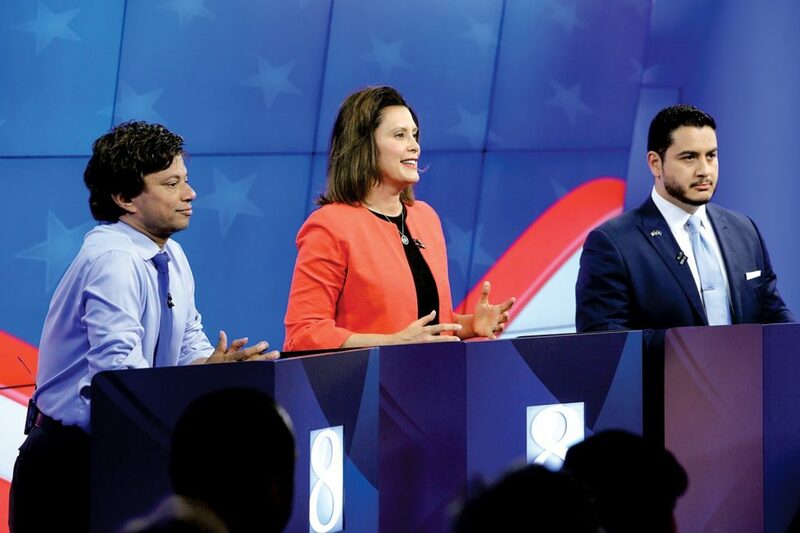 I’ve watched all the debates as well as the undercards live, but when I reviewed the transcripts, I was amazed how many radical statements had slipped under my radar. Ted Cruz called for putting the United States back on the gold standard. Marco Rubio accused President Barack Obama of destroying the U.S. military. Huckabee said Bernie Madoff’s rip-offs weren’t as bad as what the government has done to people on Social Security and Medicare. Lindsey Graham said his administration would monitor all “Islamic websites,” not just jihadist ones. I had even forgotten Trump’s claim that vaccines caused autism in a 2-year-old girl he knew. Vaccines do not cause autism. Goldbuggery is crackpot economics. The U.S. military is still by far the strongest in the world. And what the government has done to people on Social Security and Medicare is give them pensions and health care. But none of those statements drew any pushback from the other Republican candidates, or, for that matter, the media moderators. Neither did Ben Carson’s assertion that if the United States had set a goal of oil independence within a decade, moderate Arab states would have “turned over Osama bin Laden and anybody else you wanted on a silver platter within two weeks,” which is wackadoodle on multiple levels. These are presumably winning messages in a Republican primary. It’s not clear whether they would be in a general election. The reality of the Obama era, for all its warts, is that unemployment has dropped to 5 percent, the deficit has shrunk by two thirds, illegal immigration has plateaued, far fewer U.S. soldiers are dying abroad and Americans are more likely to be killed by lightning than by terrorists at home. The question is whether the run-for-your-lives talking points will crash into statistical reality, or whether they will gradually help create a new political reality. In reality, it is the Clinton campaign (which only wanted four debates) and the DNC, which expanded the number to six but hid most of them on nights when few would be watching, which are acting cowardly. 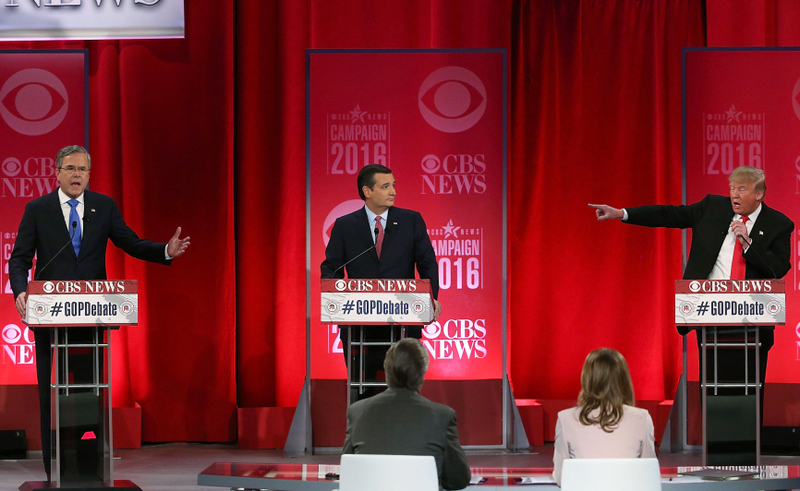 Both Sanders and O’Malley have been pushing for more debates. I also think that Clinton has benefited from the exaggerated coverage paid to Trump. If not for his unexpected success in the Republican race, the big story of the year might be Sanders’ challenge to Clinton. 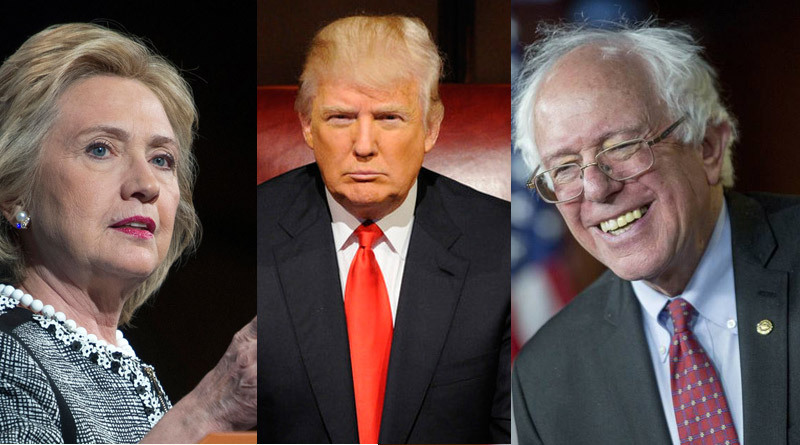 After all, Sanders does beat Trump in head to head contests–and often by a larger margin than Clinton does. Clinton benefits in other ways from Trump being in the race. The large number of lies from Trump dominated the year-end report from Factcheck.org. This led to a fairly long list of lies from Clinton being less obvious, posted further down in the story after Trump’s lies. The concentration by the media on outrageous comments from Trump distracts from talk about the unethical conduct from Clinton, as well has the poor judgment she has shown throughout her career. Most importantly, it distracts from a more thorough look at Clinton’s views, including her neoconservative views on foreign policy, her conservative views on social/cultural issues, and her turn to the right on economic issues and health care. It also might be kept in mind that, with all his unacceptable statements and views, Donald Trump did oppose the Iraq war which Clinton pushed so hard for, and which turned out to be a disaster.